Do These Move in Deep Cleaning Tips and Ready to Move into Your New Home! The most common concern of renters moving into a new place is if the place is ready for occupancy. By “ready for occupancy”, meaning, if the place has been deeply cleaned that can give a fresh, hygienic and comfortable environment. Otherwise, it will be a dilemma. For who knows what the old renter has done to that place? You could only guess. 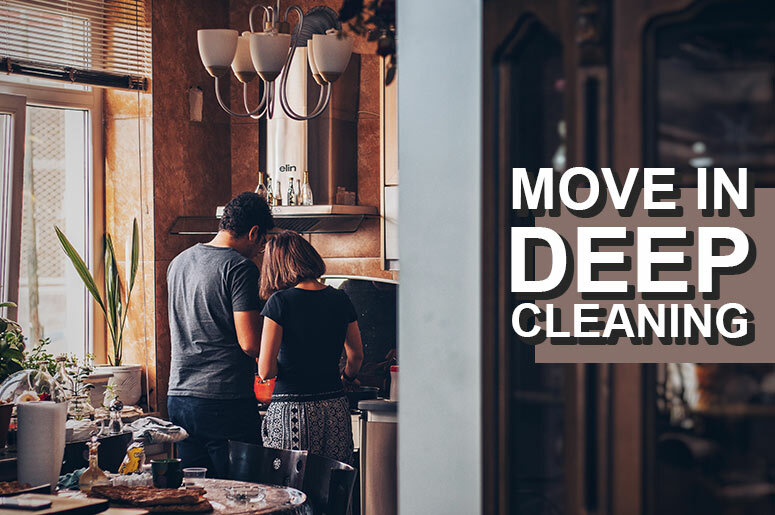 So, how should you do the move in deep cleaning and how to make it so clean and ready for your transfer? Practically, you will never want to move into a new place if it’s not ready at all. Much more, when even the minor cleanings are not done that efficiently and nicely as you want it to be. Well, as we all know that first impression lasts and we would like to live in a home where we are comfortable just by looking at it in the first glance. And to add that note, a clean home is a happy home, so be ready to get your hands dirty and dusty as you dive into these guides to make your abode the best habitable place for humans! After all, what’s always ideal is a home that’s perfect for us. And, of course, it’s not the regular cleaning that can do this. Instead, a kind of move in deep cleaning that guarantees a completely happy transfer. Hence, in this article, you’ll be given cleaning tips as solutions to tidy up your new place. With these tips, you’ll be so sure that everything’s perfectly clean before you move into your new home and start unpacking your stuff. It’s always more efficient and strategic if you know exactly where your supplies are. If you plan to do the move in deep cleaning yourself, then have the needed stocks and supplies ready beforehand. For the most common problem when your stuff is already in the new place and still unpacked, you wouldn’t know which box contains what items if it’s not labelled. Thus, to avoid this, label the boxes and have your supplies separately packed making them ready for use as soon as you’ll start doing your move in deep cleaning tasks. For best cleaning results, you’ll need to have a game plan. In this way, you can sweep away swiftly. And as soon as all your stocks and supplies are ready, then, it’s time to make it into action. And FYI, this type of cleaning always requires reaching the deepest dirt and grime in every nook of your home. Take time to organise your cleaning. Tidy up the areas that are in chaos. Knowing your way around is the best way to do your move in deep cleaning tasks efficiently. Meaning, you don’t really need to go back to where you started cleaning all over again. Usually, the areas that are most prone to chaos are the pantries, closets, bathroom and kitchen cabinets. Therefore, before unpacking your boxes, it is necessary that these areas are ready to be filled up. When you find that move in deep cleaning tasks is so tedious to do all by yourself, call in reinforcement. For your convenience, you can also call friends and family to help you out with your cleaning tasks. Surely, they will be more than happy to help you especially with the right bribe of refreshments and snacks. Moreover, if in cases that you can’t find anyone to help you out, then hire a move in deep cleaning service provider. If you’re too busy to clean the place up, then do yourself a favour and hire some real experts on this field. Professional cleaners are experienced when it comes to move in deep cleaning tasks. They are trained to do the job and get it done with less fuss. Absolutely, you’ll get the best result you’ve wanted. Just look for the right cleaning company that can surely give you the right services you need at the right price. In all your efforts to do a move in deep cleaning, you might obtain the cleaning results you desire. However, if in cases like you’re finding it hard on how to do tidy up the right way, then, call for help. Or follow some tips that can give you the best cleaning results. Might as well want to inquire for more move in cleaning tips? Call us or browse our website! There are a lot more insights and solutions you can find for free. Also, if your cleaning needs are urgent, give us a quick call and let’s see how we can help you. This entry was posted in Home Cleaning and tagged Deep Cleaning, deep cleaning tips, move in, move in deep cleaning.